This page has been viewed 45 times this month, and 4948 times total. Cartoon Characters: Kronk, Ms. Birdwell, Yzma, Kuzco, Pacha, Chicha, Papi, Rudy, Skinny Old Man, Stout Old Man, Gollum-Rudy, Bucky, Waitress, Chaca, Huayna, Eli Tipo, Hildy, Marge, Tina. Directed By Saul Andrew Blinkoff, Elliot M. Bour, Robin Steele. Produced By John A. Smith, Peter Denomme. Animated By Gary Mooney, Wagner Nadine, Shannon Penner, Florian Wagner, Nadine Wagner-Westerbarkey, Russ Mooney, Scott T. Petersen. Written By Tom Rogers, Michael LaBash, Anthony Leondis. Awards: Nominee, Annie, Best Home Entertainment Production, 2006. Nominee, Annie, Best Storyboarding in an Animated Feature Production, Chris Otsuki, 2006. Nominee, Annie, Best Writing in an Animated Feature Production, Anthony Leondis, Michael LaBash and Tom Rogers, 2006. Editor: Philip Malamuth, Arthur D. Noda, Jeff Draheim. Originally Released on December 13, 2005. "The Emperor's New Groove 2 (Working Title)." Do you have anything to add to this page? 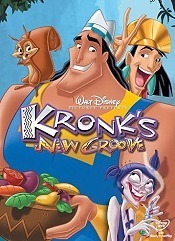 Have we made any mistakes... or do you have any additional information about Kronk's New Groove? If so, we would love to hear from you. Please send us a quick note with your additions or corrections to this page, and we will make the corrections as soon as possible! 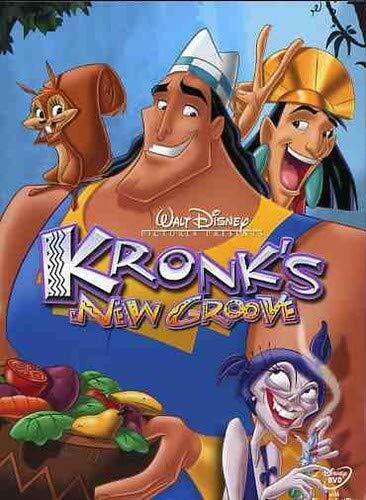 Do you love Kronk's New Groove, or do you think it is the worst cartoon ever? Let us know what you think! Surely you have an opinion... so share what you think. Take a minute and post your own comments about this cartoon here. Kronk's New Groove by Big Cartoon DataBase is licensed under a Creative Commons Attribution-NonCommercial-ShareAlike 4.0 International License.